Join Raymond Blanc on August 18th for an exclusive round trip on the magnificent Belmond British Pullman luxury train. Enjoy a champagne reception followed by a seasonal five course menu created by our chef patron alongside exquisite fine wines & champagnes. 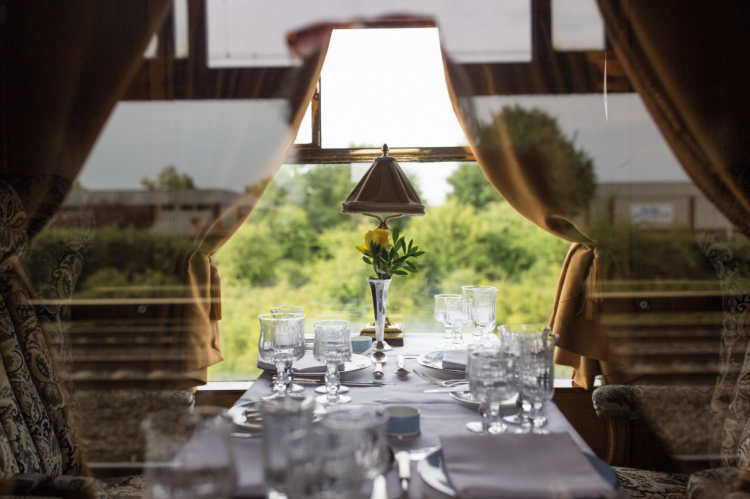 Experience fine dining silver service whilst travelling through the stunning English countryside on this iconic train. Finish with conversation with our favourite Frenchman over coffee, tea & petit fours.